Q:I was in the army for 8 years and was convinced to go into bodybuilding by some friends, since I had the wide shoulders and small waist look already. I really enjoyed it and made great strides, but once I got married and left the army, that all ended, heh. I went from 6'1" a ripped 225 lbs. to about 275 flabby ones over the last 12 years. A few months ago, I decided I was tired of getting old and fat (instead of just old), so the wife and I joined a new gym in our small town here in Maryland. I have altered my diet, use an online site to keep track of nutrition and my exercise logs as well. I looked around on Bodybuilding.com a bit, read up and started back into the weight game with a basic powerlifting scheme of 3 days a week, 3-4 compound lifts per day with a 5x5 scheme. Just to try to gain back some lost strength, and start making some lean mass gains. Q: Hello! My name is Lauris! I am 18 years old. I've been training in the gym for about 1 year, so I am pretty much a novice, I suppose. I have plans for the summer to really train my strength, so I started to search some strength workouts. 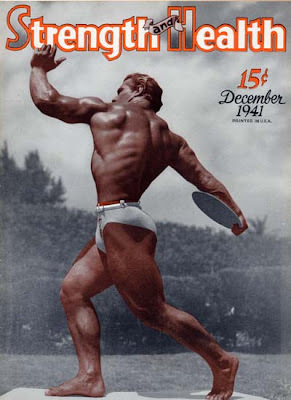 Then I read your article on Bodybuilding.com: The Complete Strength Athlete. My Answer: No Lauris, I will not send you an adjusted routine. That's why I wrote an article so that people can read it, learn from it, use it and adjust it to fit their own individual needs. I appreciate questions and comments from readers, but it'd be very time consuming to send everyone a free program. Fat Loss: Where to Start? I have been reading your blog, and I am really impressed. But I am looking for concise information on losing weight and gaining muscle. I hope you can provide the right direction. I am 5'4", and I weigh about 212 lbs. I am really not sure where to start. I have been taking karate for the last 2 months. I have lost about 8 pounds, and I really like it. I want to lose 40 lbs. of weight and gain muscle. 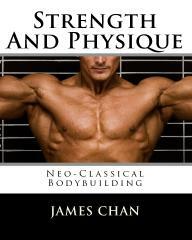 Which of your books should I buy, and which training program should I follow? My Answer: As far as which of my books would be best for you, I'd recommend Volume One or Volume 2: Neo-Classical Bodybuilding. 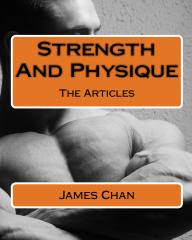 Both volumes have a chapter on strength training for fat loss. 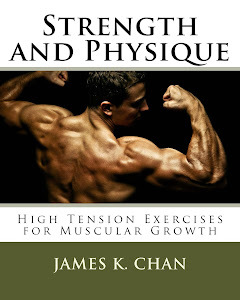 You might also want to go to the bookstore and pick up the June-July 2010 issue of Planet Muscle. I have an article on "Four Dietary Strategies" that will point you in the right direction as far as eating. 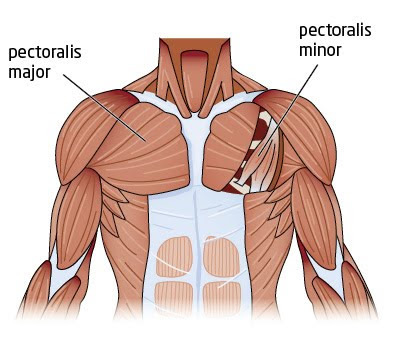 Q: I've been doing your hypertrophy for ectomorphs for about 2 months now and I've noticed that I am not gaining much mass on my pectoralis minors. Also, my bench press weight has gone down from being able to do 4 sets of 8 of 165 lbs to not being able to get 3 of 175 lb on my set of 6 in the hypertrophy workout. What do you think I'm doing wrong? My Answer: Hard to say what's going on unless I'm looking at your training log and looking at your numbers. Question is were you ever able to do 6 reps of 175 lbs? 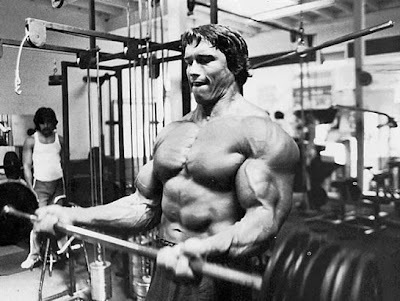 When you progress from 10 to 8 to 6 reps, the increase in poundages should be small. 2.5 to 5 pounds. Ten pound jumps would be too much, especially if you're nearing your 6RM. Bottom line is you've been on the program for too long (2 months) and need to switch to a 5x5 program. Your upper pecs are not getting much growth, because you've been doing the flat bench press for 2 months. Switch to a 20 degree dumbbell bench press.